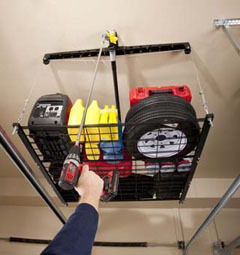 Load and lift heavy items to the ceiling. No ladder necessary. 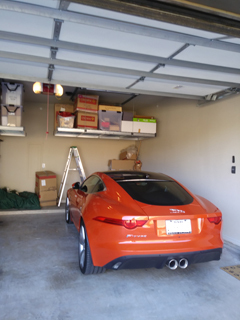 Easy storage for outdoor furniture, heavy boxes, lawn mowers, big tools, large toys, canoes, kayaks, holiday ornaments, tires, ladders, lumber, third row car seats and just about anything else you can imagine. Includes heavy-duty steel support beams . 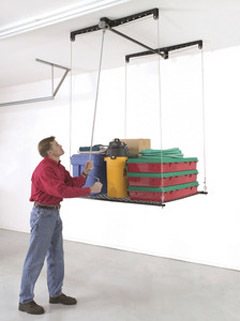 Load and lift heavy items to the ceiling (up to 12 ft high) without using a ladder. 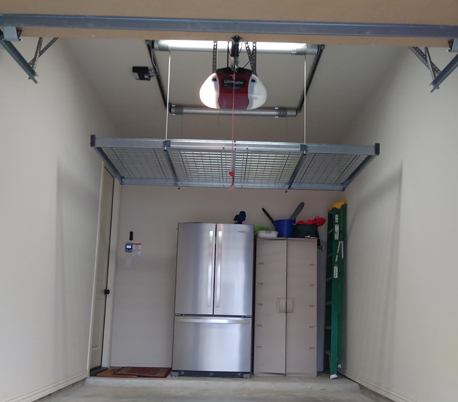 Includes heavy-duty steel support beams, 4x4 platform, winding axle, vinyl coated steel cable, hand crank, optional drill driver, and all mounting hardware. 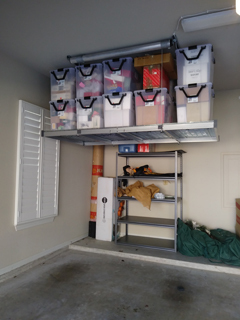 Complements Overhead Storage Racks as a means to get items lifted and stored.